Summer’s here, and like many Kiwis you’ll be looking forward to the sunshine, beaches, walks and BBQs. Summer is also a great time to catch up on the books that have been on your ‘to read’ list throughout the year, whether it be the latest fiction, sporting biography or something a little more serious. We’ve brought you a CORE ‘summer reading recommendations’ list before, and we’re doing it again, picking the brains of our facilitators, e-learning consultants and thought leaders to save you the hassle of compiling your own list. There’s bound to be something on the list to tickle your tastebuds, so lie back, slip on a hat, slop on some sunscreen, and enjoy the following reads from our Christmas stockings to yours. Happy holidays! Taking a break from technology, Tara has been reading Warming the Emotional Climate of the Primary School Classroom by Ian M Evans and Shane T Harvey. “Drawing on evidence-based research, Evans and Harvey describe how New Zealand primary school teachers create a 'classroom atmosphere' that enables children to be motivated, feel accepted and enjoy learning. Emotional interactions between teacher-pupil are examined and the child's voice is articulated throughout. While research-based, the book is easy to read and has excellent strategies for enhancing the social-emotional environment of the classroom. Tara Fagan is an Early Years facilitator for the Wellington/Manawatu region. Tara’s postgraduate research investigated the nature of children’s social interactions in a mixed-age setting. Tara has a variety of educational interests inlcuding: the rights of children, children’s interactions, ICT and 21st century pedagogy. She is currently working for CORE in the most perfect role for her, as it allows her to combine her love of ICT and education. Jedd has recently read Howard Rheingold's Net Smart on his iPad, which seems appropriate. "This is a great reference book for anyone interested in digital literacies, and ways we can use our attention to focus on the relevant portion of the river of information that is available to us on the web. I go back to it often for Rheingold's thinking on attention, collaboration, and online participation. It's especially relevant for educators, and would be good reading while recharging batteries." (Read the first chapter for free). Karen Melhuish Spencer is an e-learning consultant at CORE Education. Karen describes herself as a bit of a geek on the sly, and her passion for playing with technology has spilled over into her passion for professional learning. Karen runs her own popular and thought-provoking blog: At the Virtual Chalkface. Jane Nicholls works in the talented EDtalks team alongside Michael Lintott and Jedd Bartlett. Together they scout New Zealand for interesting stories. With a keen interest in the development of infants and young people, Glenda was naturally drawn to the book Why Love Matters: How affection shapes a baby’s brain by Sue Gerdhart. “Gerdhart describes through relevant examples the significance that love and affection has within the earliest relationships for children. She sets out to demonstrate how these relationships impact on children's brain development, the formation of emotions of the child and their continuing ability to self-regulate these emotions. Where babies know and trust that their needs will be met, their brain responses and relevant neural connections are constructed, and we can be assured that positive outcomes will be met. I encourage anyone who is interested in exploring this further to check out this book, and to consider the implications of our teaching practices, relationships and interactions with the children, their families/whānau and the wider ECE community "
Glenda Albon has had vast experience in facilitating workshops and discussions for parents, teachers and a range of other professional groups. On the twelfth day of Christmas .… Well, you know how it goes. Here comes the holiday break, and this is a perfect time to catch up on those EDtalks you may have missed out on during the year. I thought I would compile a list of my favourite five for this year (a very hard job indeed). Please feel free to leave your list of favourites in the comments. Khoa Do, Young Australian of the Year, film director, screenwriter and teacher, sat down to talk with us at ULearn2012. He tells stories about his life, and at the same time reveals important educational ideas. Ideas that reveal the depth of the principles and key competencies of the New Zealand Curriculum. Donna describes how her school has approached one to one laptops. She provides us with many questions about how this innovation challenges teaching and learning. Donna explains that this approach is a shift away from "this is how I’ve always done it to this is the way I’m going to do it"
Mike Hogan, principal at Prebbleton School in Christchurch, describes how he and his staff made the decision to ask for help with their tikanga Māori programmes. Mike explains the steps they took to identify their needs, get help, and start making changes to teaching and learning. Tamara Bell challenges teachers in English medium schools to increase achievement for Māori students by teaching te reo Māori. Tamara works for CORE Education as a National Facilitator for the Blended eLearning team and an Online Facilitator for Te Manawa Pou Te Reo Māori Online. 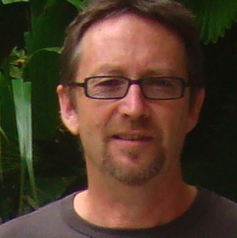 Professor Guy Claxton, Co-Director of the Centre for Real-World Learning and Professor of the Learning Sciences at the University of Winchester, was in Christchurch recently delivering the 2012 Graham Nuthall Lecture. After the lecture CORE Education's Keryn Davis had the chance to ask Guy about the key messages he had for teachers wanting to deepen learning and build learning dispositions. 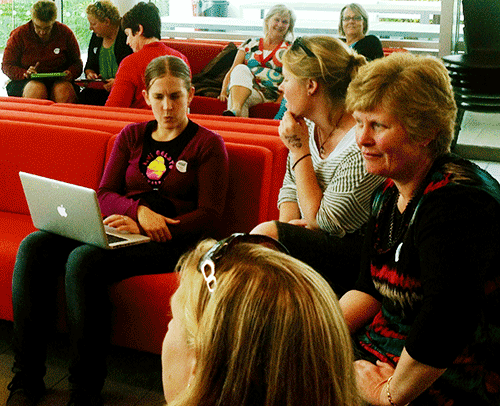 Timed to celebrate the end of 2012 and launch into 2013 in style, Educampchch2 dawned on the first of December. We gathered in Riccarton Community library, on a busy Saturday. It was fascinating to see the sheer volume of library traffic go through in one day. This library really is the ultimate learning environment—from babies to grandparents, engaging in ‘library learning’. Passionate educators gathered from across the sectors, early childhood through to secondary, and across New Zealand from Mosgiel in the deep south to Whangarei in the far north. With a mix of newbies through to educamp groupies we kicked off with a three-word intro. From this wonderful icebreaker we moved to the SMACKDOWN, a two minute sharing. The real beauty of this is an opportunity to listen and establish connections for discussions as the day progresses. This clip really does say it all: what is ordinary to one person can be amazing to others. The power is in the sharing and the building of opportunities around the use of a tool, an approach, an opportunity for collaboration. A break for coffee allowed for time to reflect, connect, network and share, and establish discussion groups for the day. He tangata, he tangata, he tangata…as with all educamps the wisdom really is in the room. The openness, expertise, and sharing throughout the day allows for all to learn and grow at their individual level. Taking the learning, shaping the learning, networking, and imagining possibilities for 2013 proved this event to be well timed. In the midst of the end-of-year chaos, the connections and possibilities realised leads to very exciting opportunities in the new year. One of the wonderful aspects of educamps is the potential for everyone who attends to leave with at least one new idea/link/tool/connection to take forward to the next year. The twitter family grew as new tweets were welcomed to the Twitisphere from within the Educampchch2 group, and from our PLNs. Discussion groups throughout the day realised opportunities around Myportfolio; iPad set up, use, innovation opportunities; Aurasma; Daily Five and CAFÉ; Biblio Commons; Literacy; gadgets; app harvesting; mobile learning potential; Twitter; social networking; community learning and collaboration. The real MAGIC is the participant-driven, unstructured nature of an educamp. There is no time pressure. There is abundant opportunity for sharing and growing the potential of opportunities. There is time for discussions as and when the need arises. There is an open, collaborative, sharing, and real face-to-face connection. As we move forward, the challenge now is to maintain connections, grow the network, sharing, and realise the power of the educamp philosophy. How could we take this unconference into our own learning environments, our staffrooms, our classrooms? How good could it really be if we shared, connected, networked, and allowed for the wisdom of all to be shared, valued, and built on? For the Mainland, we now move towards the inaugural Educampwest at Greymouth on the 23rd of February and the inaugural Educampqueenstown on the 13th of April. Ten Trends 2012: User + Control from EDtalks on Vimeo. So we arrive at the final trend for 2012. Some would say last but not least, but in this case it does turn out to be the least in some ways as we got this one wrong. Instead of being a trend this is proving to be an anti-trend. Oh well, you can’t be right all the time. Having said that it is still a crucial area for educators to be thinking about. Is the desire for control increasing or decreasing? We said “Users of technology are increasingly seeking to find ways to program what they are using and exercise control over what it does and how it performs”. Perhaps we should now rephrase this and say “We wish users of technology would increasingly seek ….” Nevertheless, you only need to look at the number of DVD recorders, etc., with the clocks flashing on 12:00 to see that the average person has no interest at all in trying to work out how to program even the basic functionality of the device they own. There seems little likelihood that this will change in the near future. Technology companies such as Apple are also pushing this trend in the reverse direction by locking users into an increasingly closed ecosystem with ever simpler plug-and-play architectures that reduce further the need for users to tweak or tinker with the setup. These shortages are such that companies like Google will sometimes opt to purchase a software company purely to get access to their talented developers. Some schools are running some excellent programmes to encourage students into programming and development, including getting students to establish their own development companies to deliver real products and services to customers. Many schools, however, still follow a very 'consumer’based ICT curriculum which does nothing more that teach students how to be users of applications. All schools need to be asking how they can engage more students in computer science related subjects and activities. It is not only schools that need to try and reverse this trend. Universities also need to get students engaged in order to reduce the trend of falling numbers in their computer science programmes. The likes of Canterbury University are doing some good work in this area with the STAR courses that they offer into secondary schools, and also in the work of one of their lecturers, Tim Bell, and his Computer Science Unplugged programme. If you have not seen it already, then this resource offers great hands-on activities that teach computer science using cards, string, crayons, and lots of running around. The IT industry also has a part to play. If IT companies want students to chose programming and related fields as a career, then they need to also help reverse the trend and change the face of the industry to make it appealing to more young people. The New Zealand Institute for IT Professionals has recognised this need and has launched the ICT Connect Programme to try and achieve just that. So, with schools, universities, and industry working together, hopefully, in the near future we can list User + Control again, and this time get it right as an upward trend. What do you you think educators should be doing to encourage young people into computer science related fields?